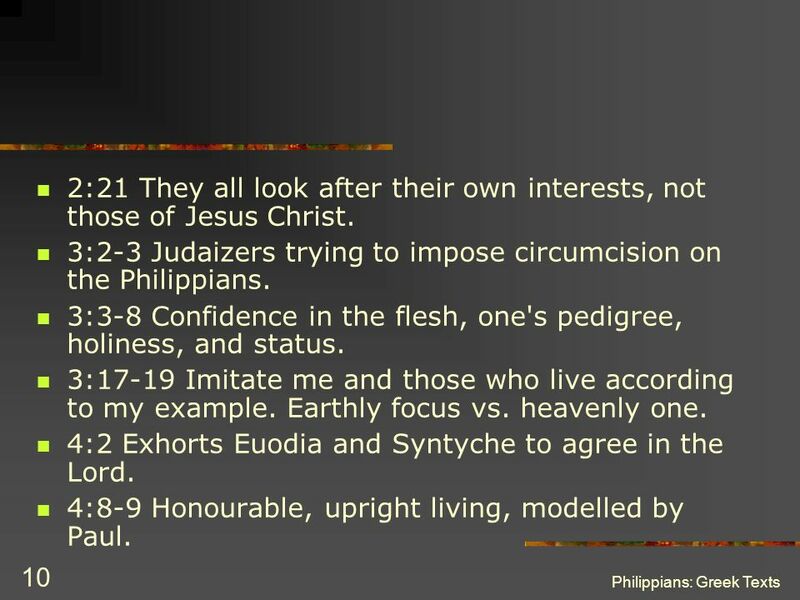 10 3:2-3 Judaizers trying to impose circumcision on the Philippians. 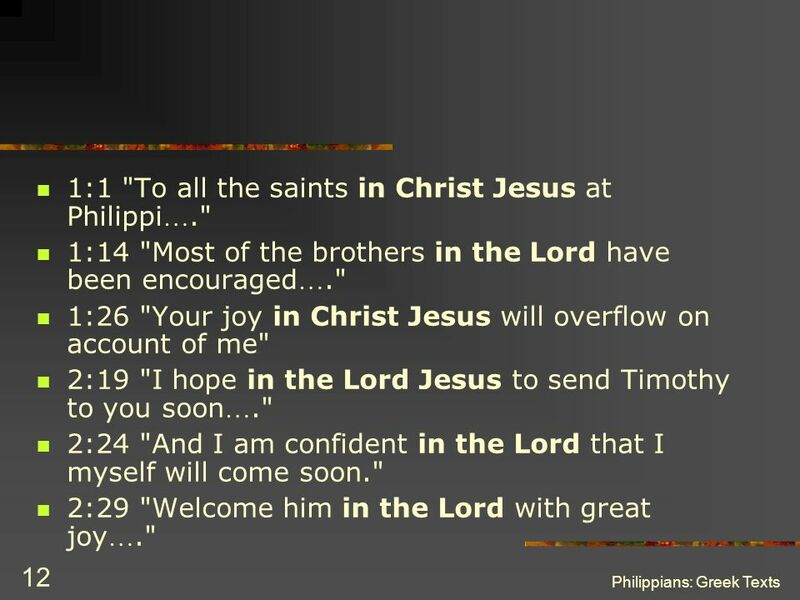 12 1:1 "To all the saints in Christ Jesus at Philippi…." 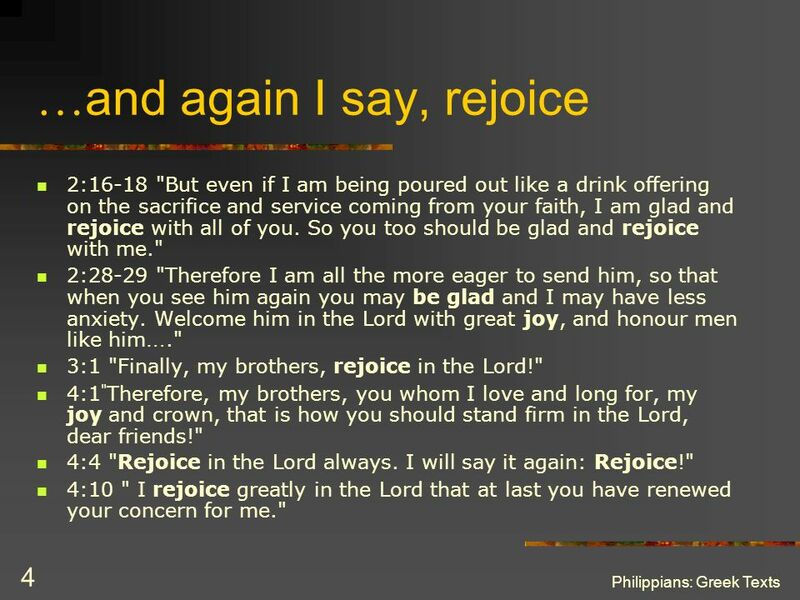 13 3:1 "Finally, my brothers, rejoice in the Lord!" 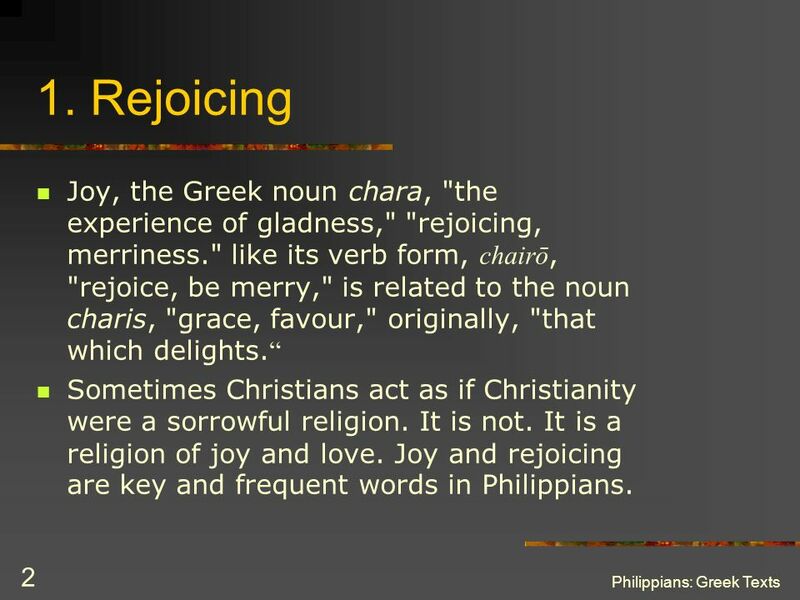 14 4:4 "Rejoice in the Lord always." 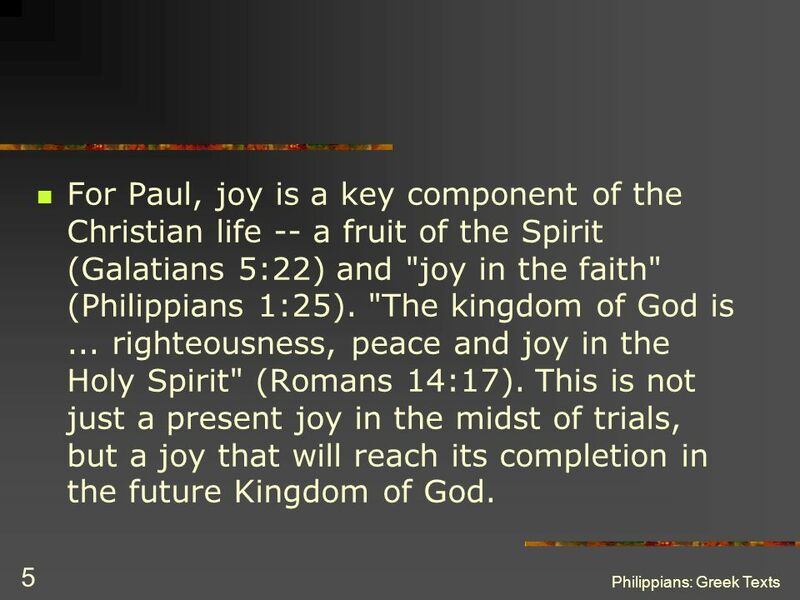 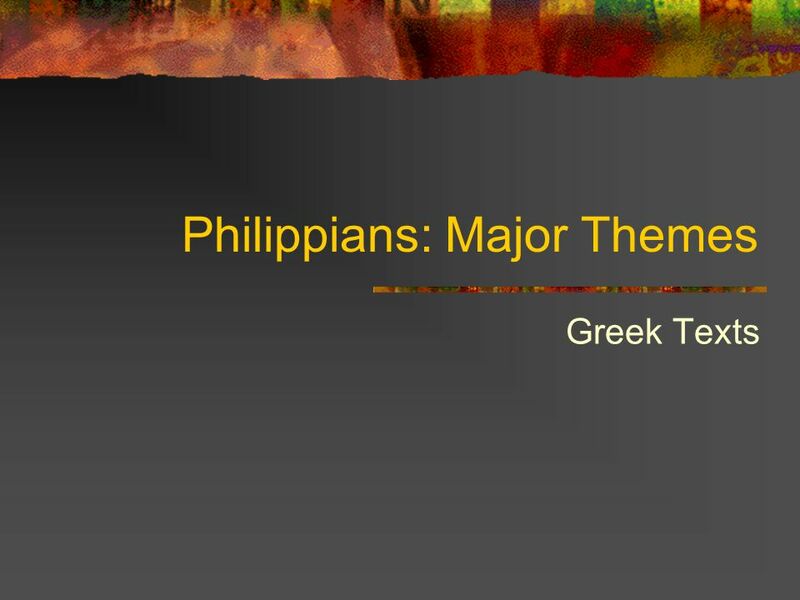 Download ppt "Philippians: Major Themes"
The Stepping Stones Project September 27, 2009 Press onward toward the goal Philippians 4:1-23. 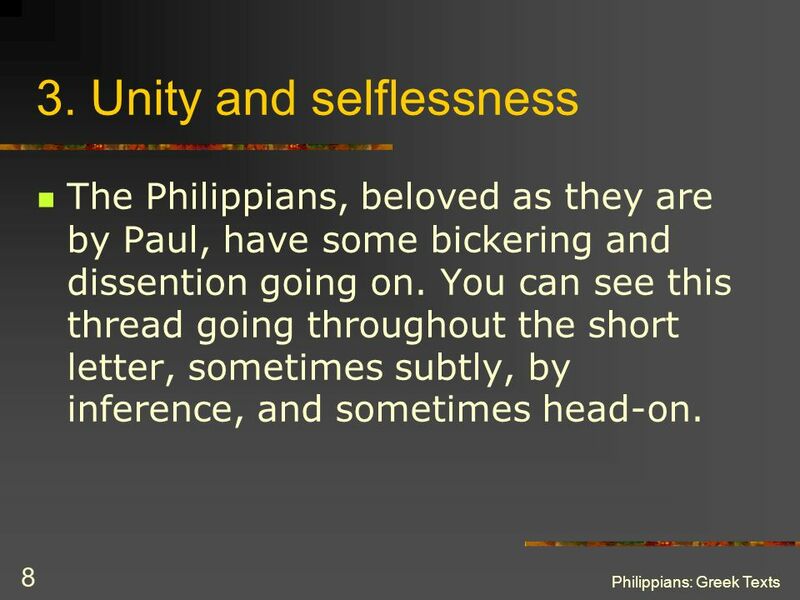 Philippians 3: Brothers, I do not consider myself yet to have taken hold of it. 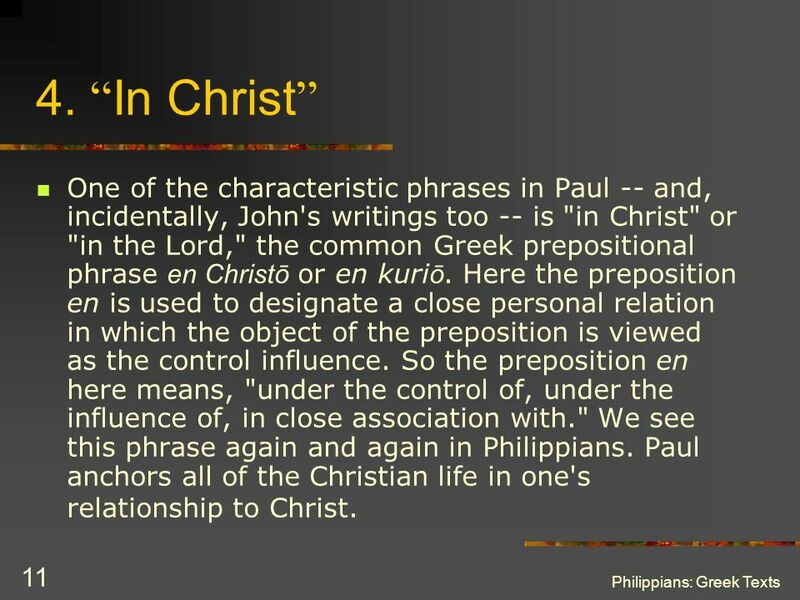 But one thing I do: Forgetting what is behind and straining toward. 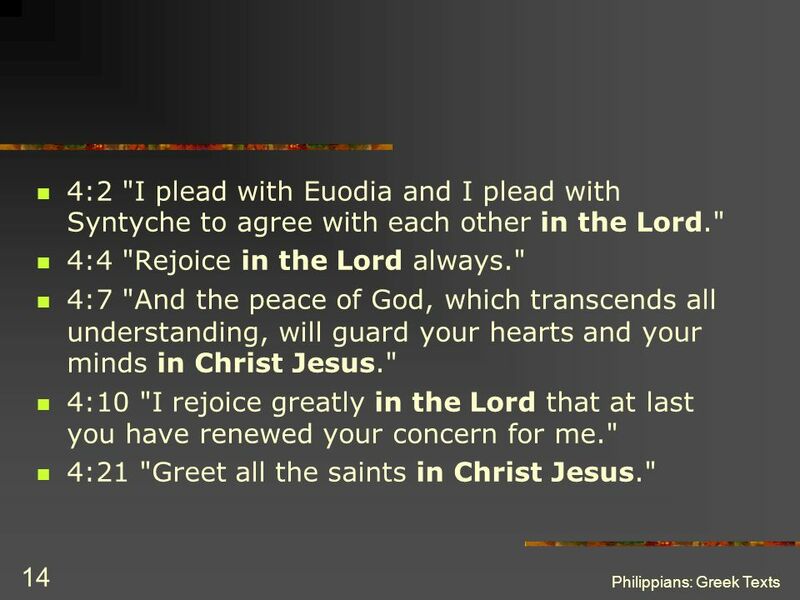 Jonah Teaches Mercy Jonah 2:10-3:3a GOD REVEALS. 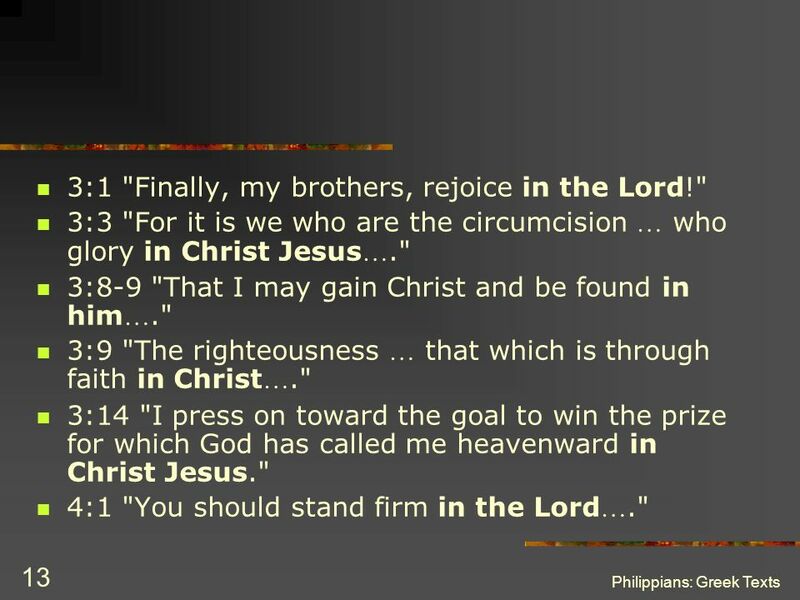 I have a righteousness that comes from God and is by faith My goal is to know Christ and the power of his resurrection. 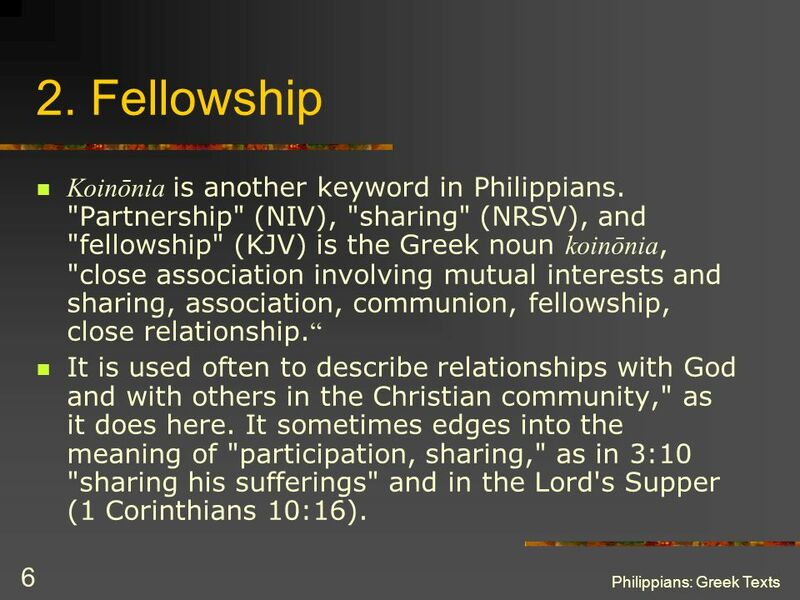 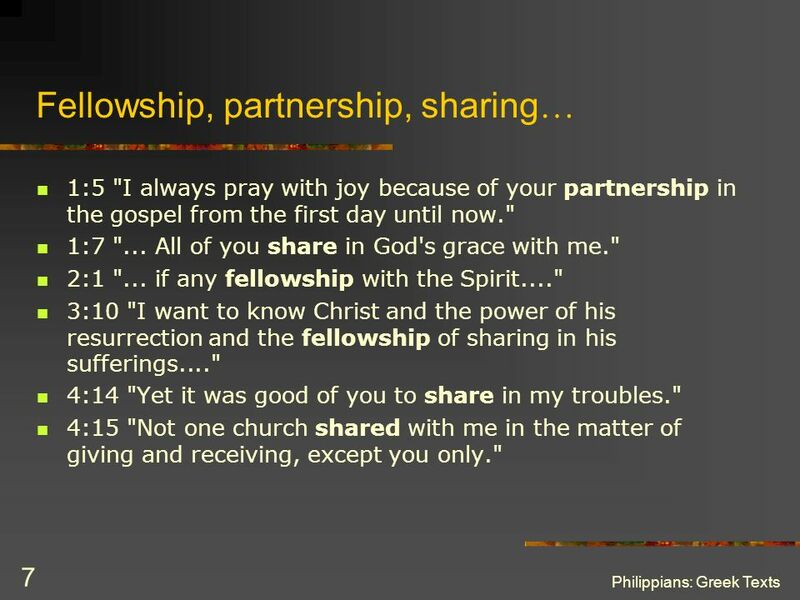 Philippians 3:10-16 Pressing On In “I want to know Christ and the power of his resurrection and the fellowship of sharing in his sufferings, becoming. 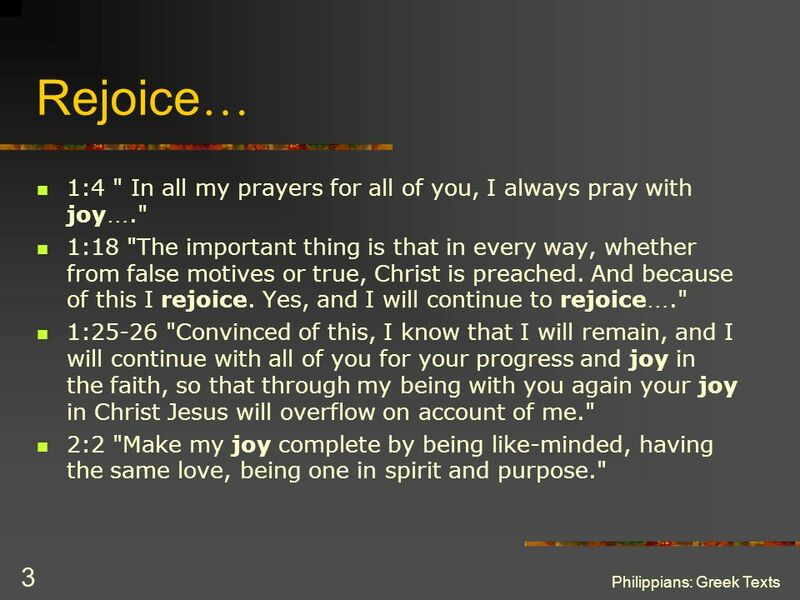 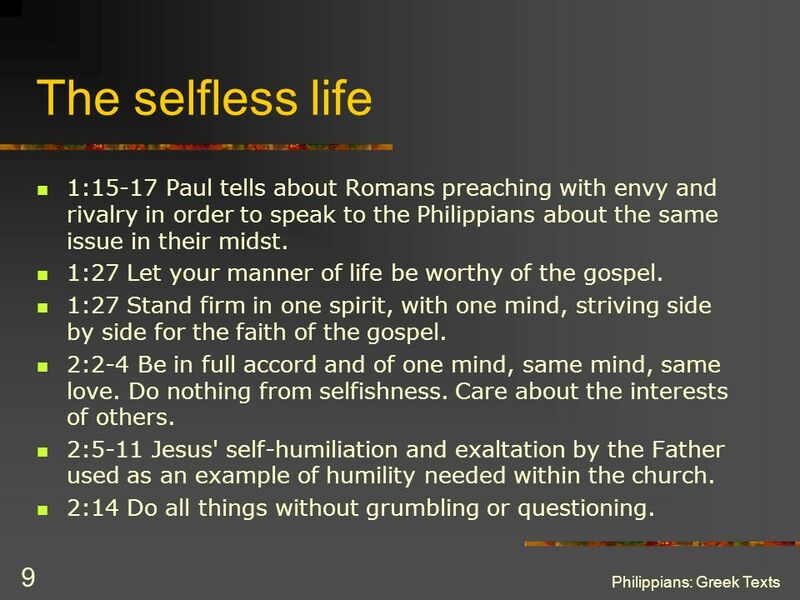 Whatever Happens Philippians 1:12-30 Paul’s Testimony His encouragement to us His warning.